Trusted by hundreds of companies across the world for their language learning needs, as we understand the benefits of communicating in a native language. expansion Strengthen your international position by connecting with local clients and partners. experience Increase your customers' satisfaction by serving them in their native language. collaboration Facilitate communication of globally dispersed teams with a shared language. Talent development & retention Develop and retain the best talents, strengthening their language skills. Business has always been about building relationships through good communication. In today's global economy communicating with clients, customers and international partners in their native language gives you the competitive edge. The vast majority of executives believe that cultural factors or differences such as language and local customs strongly hampers their company's plans for international expansion. Whether you are a global company with an existing international team or a regional company looking to expand across new territories, mYngle will improve your employees' language proficiency, allowing them to communicate towards hitting that target growth! With a portfolio of 45 languages, mYngle can cover all of your language training needs, teaching your international executives not only to be multilingual but also cross-culturally competent, so that they are able to truly understand the local markets and succeed in their international assignments. While with corporate clients it is all about building lasting relationships, with consumers is all about making the right impression with your customer. Service industries with multilingual staff who can communicate in native languages have a direct impact on overall customer satisfaction. 1.3% increase or decrease in Customer Satisfaction scores results in 0.5% increase or decrease in sales. mYngle can help you improve service and support for your increasingly multicultural and international customers, by empowering staff to speak in the client's native language. The benefits are many, customers feel welcomed when using their native language & problems are resolved quicker. At mYngle we can not only train your employees towards a specific style of service language, we can also offer accent reduction & cultural awareness for the markets you operate in. Investing in staff language development has a direct & positive effect on skill sharing across regional & international offices. Sharing a common language results in clearer communication, creating higher productivity & furthers collaboration. With mYngle you can overcome barriers between globally distributed and linguistically diverse employees, with a centralized language training solution accessible from any location in the world. Our method is practical and goal-oriented, focusing on rapidly building (business) communication skills and practicing on topics that are immediately applicable. This way your employees can gain more confidence and take an active role in business discussions and execution of complex tasks. Developing global leadership & talent through language not only prepares your company for the future, but helps you maintain employee satisfaction & retention. Nearly 25% of all employees leave their jobs because the position lacks opportunity for development and training. mYngle’s experience in numerous companies has shown, first hand, that language truly does strengthen Company culture. You can recruit and develop the best talents, both from abroad and locally, independently from the language they speak, and improve their language skills when you need them. With mYngle you can provide your workforce with opportunities for personal and professional growth. Our programs help develop your global leadership with personalized training that includes specific skills set and knowledge, so that they can succeed in a global setting. Your coach at mYngle assesses your level and needs to create a personalized course plan. Schedule and reschedule your lessons by accessing your mYngle account. Enter the virtual classroom to follow your personal private lesson with your coach. After each lesson you will receive feedback & related self-study. At the end of the course you can evaluate your progression with a final assessment. Reach goals Face-to-face online coaching keeps employees motivated to study long term. Rapid progress Relevant topics & continuous practice build confidence in a new language. Successfully learning a foreign language requires regular study and commitment. Our coaches are selected & trained to understand your professional needs. Live audio and video connection with our coaches ensures lessons can be interesting, easily followed and understood. From initial assessment through each lesson, we provide detailed written feedback. This continued support helps employees stay motivated & reach their goals. Private lessons are the most effective way to achieve great results in a short amount of time. The key to steady and rapid progress is by learners communicating & building on real topics, relevant to them. Learners have an active role during their lesson, prompted to speak as much as possible, from day one, also for a completely new language. Employees learn best when they have a chance to use the information during and immediately after the training. In essence, the process of remembering by connecting the active use of individual language skills with real topics. For business professionals, time is their most valuable and scarce resource. 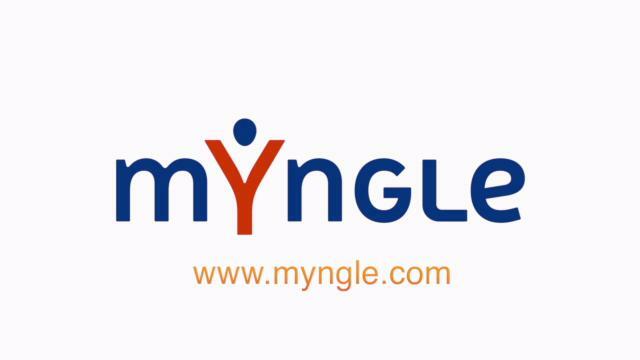 The mYngle network of coaches are available 24/7 regardless of your location. Employees can schedule lessons during office hours, evenings/weekends, even when travelling across time zones. With our easy system, you can book or reschedule up to 2 hours before a lesson is due to commence. Every lesson is independent of time & location. The user only needs a computer, a headset and internet connection. When compared to other methods of learning languages, mYngle's face-to-face online system achieves the best results. Whether your employees work in the same office or in multiple locations & languages, we simply use one centralized global platform. By logging into a special section on the website for HR managers (LMS manager), you can track attendance, lessons remaining, compare employee progress, all in real time. With our transparent pricing structure – and no hidden costs - you can manage, control & adapt your budgets. A complete overview to easily track your ROI. Proven method Effective learning process incorporating industry topics & building employees' skills. Tailored courses Extensive content from a wide range of recognized publishers, tailored to individual needs. Selected Coaches Experienced professional native-speaking coaches, to deliver the best online learning experience. Clear Process Transparent and controlled training process, from initial assessment to final results. Our effective language learning process incorporates industry topics which build employees' skills. We know that the key to steady and rapid progress in a target language is by communicating & building on real topics relevant to daily use. Our approach focuses on the needs of the learners and the connection between the language and its use in real situations. The emphasis during our lessons is on learning to communicate through interaction in the target language. Using the most recognized language proficiency scale in the world, we offer a wide range of courses selected from the best publishers. 45 language courses offered across all skill levels. Use the self evaluation test to establish skill levels from basic to proficient user. Focus on particular needs such as Pronunciation and Accent Training, Exam Preparation, Writing, Conversation & Fluency. A1 I can take and pass on simple messages of a routine kind, such as 'Friday meeting 10 am'. I can understand short reports or product descriptions on familiar matters, if these are expressed in simple language and the contents are predictable. I can write a simple routine request to a colleague, such as 'Can I have 20 X please?'. A2 I can state simple requirements within own job area, such as 'I want to order 25 of...'. I can understand most short reports or manuals of a predictable nature within my own area of expertise, provided enough time is given. I can write a short, comprehensive note or request to a colleague or a known contact in another company. B1 I can offer advice to clients within own job area on simple matters. I can understand the general meaning of non-routine letters and theoretical articles within own work area. I can make reasonably accurate notes at a meeting or seminar where the subject matter is familiar and predictable. B2 I can take and pass on most messages that are likely to require attention during a normal working day. I can understand most correspondence, reports and factual product literature I am likely to come across. I can deal with all routine requests for goods or services. C1 I can contribute effectively to meetings and seminars within own area of work and argue for or against a case. I can understand correspondence expressed in non-standard language. I can handle a wide range of routine and non-routine situations in which professional services are requested from colleague or external contacts. C2 I can advise on/handle complex delicate or contentious issues, such as legal or financial matters, to the extent that I have the necessary specialist knowledge. I can understand reports and articles likely to be encountered during my work, including complex ideas expressed in complex language. I can make full and accurate notes and continue to participate in a meeting or seminar. Our global network of professional language coaches, are selected based on their experience, online teaching skills & qualifications. Experience with virtual environments & tools. Has spent significant time in multinational business environment, teaches Business Communication and Cultural Awareness. Coaches clients for presentations, negotiations, meetings and teleconferencing communication. mYngle's customized teaching approach starts with an in-depth assessment, which always includes a live session with one of mYngle assessors. We pay particular attention to the learner’s communication skills. Based on this, we shape & create the personalized training program. Regular feedback from the coach, monthly progress reports and extensive attendance reports, an LMS manager updated in real-time. Learner satisfaction survey during and at the end of the course, plus an achievement report is issued at the end of the program to compare results with initial plan. Founder mYngle’s founder comes from business and understands the benefits of communicating in a foreign language. Corporate Values We want to change the traditional world of education by delivering a truly customer oriented solution. With more then 20 years experience as an international manager, Marina knows the benefits of communicating in a native language. Before mYngle, Marina had professional experience in consumer marketing, business and product development by Procter & Gamble, Philips, Sara Lee; strategy consulting by The Boston Consulting Group and internet technology at eBay. She holds an MBA from INSEAD. Having lived in numerous countries & speaking 6 languages herself, she knows first hand, the difficulties you face when learning a new language & culture. Which is why she came up with the idea to start mYngle. Marina received many international recognitions for her contribution as a woman in technology, as the 50 most inspiring women tech leaders in Europe 2015. Everything we do revolves around our customer’s needs, we listen, learn and act on their feedback. For every decision we make, we ask ourselves: what’s valuable for our customers? We will ALWAYS find a way to deliver, “Yes we can!” is our motto. We measure our success with results you achieve. Every encounter you have with us, should be a high quality experience. We continuously question ourselves on what can be improved for a total customer satisfaction. Rethinking education is a constant process that comes from listening carefully to our clients and acting on that. We stimulate employees to act like owners and we empower them to live up to their full potential. Our multicultural and cross-continent working environment is a reflection of how we see the world. Avertissement Copyright © 2007-2019 mYngle. All rights reserved.